Established as the Applied Psychology Unit by the Medical Research Council in 1944, the Cognition and Brain Sciences Unit is one of the largest and most enduring contributors to the understanding of human cognition and its disorders. Our research investigates fundamental human cognitive processes such as attention, language, memory, and emotion. We do this using a combination of behavioural experiments, neuroimaging, and computer modelling. Behavioural experiments help us understand how these processes work at all ages and how they become disrupted in disease and disorder. Neuroimaging helps us study the brain mechanisms underlying human cognition. Where possible, we use our discoveries to improve human health and well-being from childhood through to older age, for example by developing new treatments for clinical disorders of cognition and mental health.The Unit provides a lively intellectual environment for scientific research, with regular lecture and seminar series and research meetings. At any one time, we have about 15 core research programmes, each run by a senior scientist. 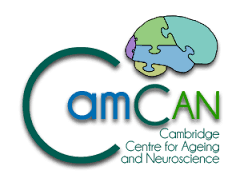 We also typically have between 15 and 20 postgraduate students, registered with the University of Cambridge.The Unit is based at Chaucer Road in Cambridge. The original building was a large Edwardian family house which has been extended to provide modern laboratories, MEG and MRI neuroimaging facilities and a lecture theatre.